I have just voted for the Australian Labor Party (ALP) in the New South Wales elections, casting my vote also to the local Labor candidate, Stephen Bali, in the Blacktown constituency. I have voted by post without waiting for the final election day of 23 March. However, I was not so impressed by the ALP’s rather wishy-washy and lacklustre statements and stand on the horrific shooting and massacre in Christchurch, New Zealand, by an Australian ‘barbarian’ when Muslim devotees were worshiping in two mosques in that city on Friday the last (15 March). I don’t give the actual name of this ‘barbarian,’ heeding the advice of the Labor leader and the Prime Minister of New Zealand, Jacinda Ardern. When Bill Shorten, the ALP leader, first said almost immediately after the incident, ‘Do not share the footage. Do not watch the footage. This is not part of normal life,’ he was right. Because a primary objective of the ‘barbarian’ was to inflame the emotions of all extreme sides, portray himself as a hero to his side, and perhaps create a major calamity in the country and outside. The ‘barbarian’ had a camera fixed to his head and broadcasted his cruelty, brutality and viciousness to the world through the social media. There were over 1.5 million people viewing the footage without any censorship. Only after strong protests from the New Zealand PM, and many others, that the social media circulations were curtailed by the owners of the Facebook, Twitter and You Tube. It is also true that ‘this is not part of our normal life.’ How could it be? That is exactly why it should have been condemned at the outset, in the strongest possible terms, particularly by a labour or a social democratic party. It was done in New Zealand, but not so much in Australia. It should have been condemned not because it was ‘callously planned,’ but because it was a terrorist attack. Subsequent statements of Shorten also were somewhat subdued, in my observation. Whatever the contribution that the thinking of the Liberal/National Party and its present leader, Scott Morrison, has made in inflaming sentiments against migrants or refugees at times, on this incident, he came forward in condemning the massacre in strongest terms. This was lacking on the part of the ALP and its leader. It has become a puzzle to me, personally, because under ‘normal circumstances’ and in day-to-day politics, Bill Shorten appeared to me ‘a principled, rational, and a sober leader,’ compared to Scott Morrison or others. Perhaps this ‘merit’ could have been the ‘debit’ during the crisis situation. The Christchurch massacre on last fateful Friday undoubtedly was a crisis situation where all democratic political leaders should have shown their true mettle against terrorism and extremism. The New Zealand Labor leader, Jacinda Ardern, has shown that enough appearing almost continuously on media, updating the nation on the events, giving a true and a sober analysis, meeting with the grieving families, and also within 72 hours taking measures to tighten the gun laws, one of the reasons for the scale of the massacre. If the reason for the ALP’s lacklustre response was anchored in the leadership, Bill Shorten and others might be able to correct that in the future collectively. However can there be other or more profound reasons? 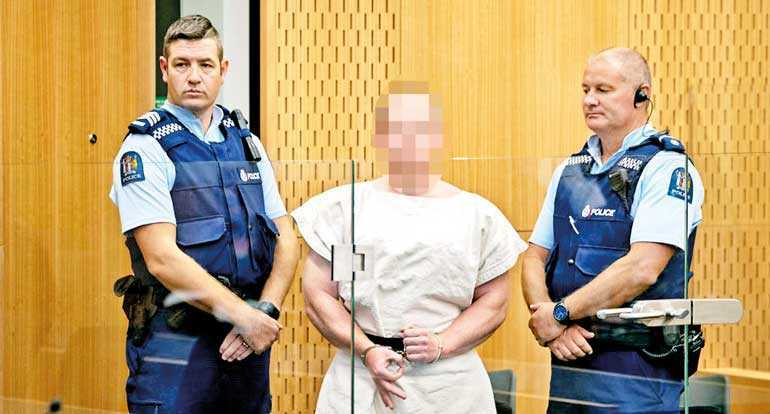 This is something that the ALP and others should contemplate on which might even have some relevance in understanding the Christchurch massacre, the motives of the ‘barbarian’ and political roots of the whole incident. The ‘barbarian’ originated in Australia. However, no Australian leader, as far as I know, visited Christchurch in sympathy with the aggrieved community or condemn the massacre jointly with the New Zealand leaders. After uncovering this speech by the opponents (even he must have forgotten), he has apologised to the possible aggrieved parties as a gentleman politician. However, the Liberal Party leader, Scott Morrison, has utilised it to condemn the remarks as ‘appalling, upsetting and offensive,’ disregarding what he has been possibly saying in similar or more offensive manner in the past. This is part of power politics. What can be troubling moreover in all these undercurrents is that there is a clear unease, fear or anxiety among the ‘old settlers’ against the ‘newcomers.’ Daley has used the expressions like ‘our young people,’ and ‘our kids,’ in contrast to ‘people from Asia’ and ‘foreigners’. When Bill Shorten attended the Islamic Council of Victoria, the following day of the massacre, he was perfectly correct in saying: “Not all right-wing extremist hate speech ends in violence, but all right-wing extremist violence started in hate speech.” However, ‘hate speech’ or sentiments expressed closer to hate speech are not just on the margins of the politics of Australia, but sometimes almost at the centre. They are not just the ‘evil-jokers on the margins.’ Such simple dismissive language is also not sufficient. As Shorten himself has admitted, there can be a link between political rhetoric on immigration and the Christchurch terror attack. Where that could be rectified and addressed? This is the crucial question. It was extremely disturbing that at the wake of the massacre, Senator Fraser Anning, former One Nation and now independent senator, went to the extent of blaming the victims. He has said, “Real cause of the bloodshed on New Zealand streets today is the immigration program which allowed Muslim fanatics to migrate to New Zealand in the first place.” To correct him, there was no bloodshed in the streets of New Zealand, but the brutal shooting of Muslim devotees at Friday prayer at two mosques in Christchurch. When Anning was uttering those words in Melbourne, he was whacked with an egg by a 17-year-old teenager in protest. But that was also a violent act that cannot be condoned by any means. More disturbing was Anning’s reactions, violently attacking again and again the now dubbed ‘Egg Boy,’ showing his true colours. Anti-Muslim sentiments or Islamophobia is almost everywhere and disturbingly growing. On the other extreme, there are violent and terrorist acts committed by people who belong to the Islamic side or in that name even in Australia. This is apart from IS and similar movements. These are the extremes on both sides that should be abated and curtailed internationally. This cannot be done through other extremes like egg throwing or ‘blaming and naming’ without context or excessively. The Greens are also trying to exploit the situation for their cheap political gain and it was excessive for them to name Michael Daley a ‘racist’ just because of his single comment. There are no perfect ‘puritans’ in this world. At least the ‘Egg Boy’ was on the right side, although excessive in his reactions. However it is not clear where the young generations in general stand on these issues. The ‘barbarian’ himself was just 28 years. What appears clear is that almost all these violent people have largely been males. How are they brought up and/or educated? These are necessary questions to ask. There can be various measures that could be taken in abating such developments or preventing them. Security measures and strict gun control should take immediate priority. If there were strict gun controls, at least the number of casualties could have been curtailed in the Christchurch massacre. Security measures to track the suspicious people or potential terrorists are equally important, respecting the rights and dignity of all. Political leaders and especially parliamentarians should refrain from hate speech, acrimonious criticisms and extreme postulations through perhaps codes of ethics and self-control. A new political culture is necessary even in Australia. Even if the two major parties, the Liberals and the Labor, were fairly reasonable in handling the main crisis, they appeared to lose the balance when the Turkish President, Tayyip Erdogan, fired his typical rhetorical barrage, exacerbating Islamic sentiments in his country. This is exactly what the ‘barbarian’ intended to instigate. There should be careful editing and restrictions on extremism, hate speech and pictures of them in the social media in particular (Facebook, Twitter, YouTube, etc.) and the media in general, again respecting the general norms of freedom of speech and expression. Most important might be the education. While students are prepared for NAPLAN (National Assessment Program – Language and Numeracy) they should also be prepared for NAPTAC (National Assessment Program – Tolerance and Coexistence). The ALP has already launched an exemplary reform program for future education in Australia. But it should incorporate NAPTAC, multiculturalism and indigenous education as well. Having to know about Australia’s indigenous heritage, their grieving and grievances might sober the minds of the young generations of the ‘old settlers’ as well as the ‘new ones’.